The most interesting thing about this announcement, is that it shows CCP is now confident enough, and mature enough, to look at a process they implemented, determine it wasn’t working, and remove it. In the past, this has been sadly lacking. It was far too often for CCP to state things were “working as intended” when they clearly weren’t, or just simply ignore the issue altogether. Unfortunately, in the announcement, CCP RubberBAND did state that it was unlikely that work teams would be visited again in the near future. Hopefully, teams will not be shelved entirely and will make a triumphant return. 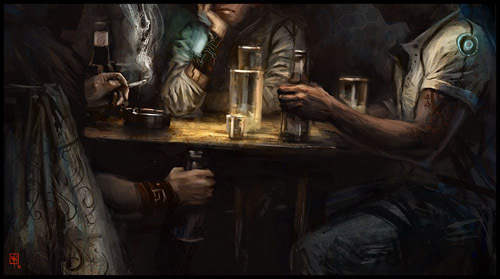 One such idea, as a correction to the ineffective auction system, would be for players to create teams themselves utilizing the slaves, scientists, tourists, homeless and the various other NPC populations. Planetary Interaction could also be brought into the mix, allowing players to select certain people-classes to “hire” from terrestrial planets, based on skill and population density. An entirely new economy could arise, allowing for human resource managers to collect and create work teams, similar to how Boosters/Drugs are player-created. In fact, through the utilization of slaves to improve production efficiency, or time efficiency, CCP could bring about a moral dilemma of capsuleers-turned-slaver. This action could bring about slavery/smuggler paths through low-sec, or attempt the much riskier activity of slave-running through high sec, where CONCORD and three of the major empires find the practice illegal. 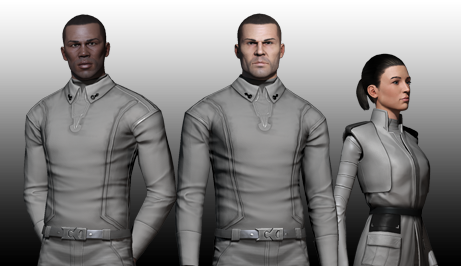 Much like minerals are racially divided, perhaps also NPC workers could be divided among the different areas, with Caldari having a high percentage of scientists, and Amarr a much denser slave population. Georgik is a Sniggwaffe graduate and Habitual Euthanasia member who dabbles in wormholes and industry to support a disturbing obsession with kpop which prevents him from investing any more time than he has to in funding his mediocre PVP activities.